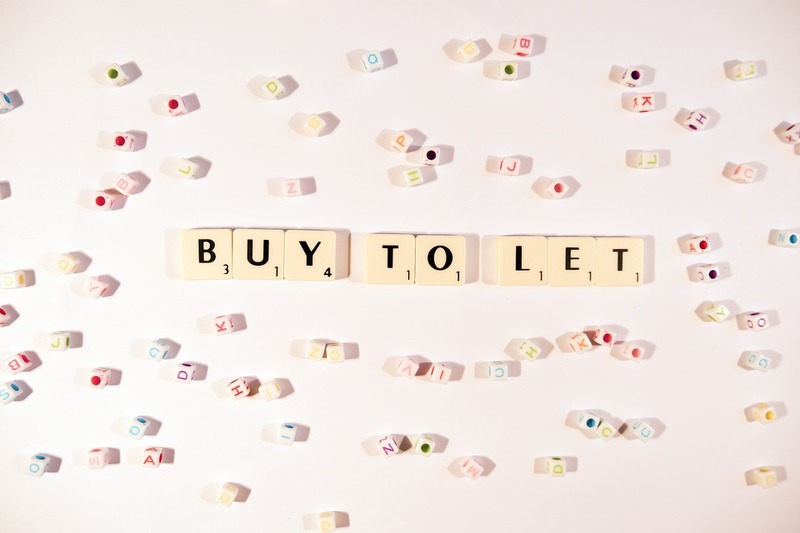 Given the significant changes that have occurred in the buy-to-let (BTL) market in the last few years, not to mention the recent base rate increases, it’s no wonder that many landlords are feeling uncertain about their future. Thankfully, it seems lenders are feeling less nervous, as the average five-year fixed BTL rate has fallen to its lowest level on Moneyfacts.co.uk records this month. “The BTL market has been on a rollercoaster ride in recent years, with not only two base rate rises to contend with, but multiple regulation and tax changes thrown into the mix,” commented Charlotte Nelson, finance expert at Moneyfacts.co.uk. Considering all of this, it’s rather surprising that rates have fallen, with the long-term fixed rate down by 0.05% on average month-on-month. At the same time, the number of BTL property purchases has been going down, with UK Finance’s latest Mortgage Trends Update showing an 11.1% decrease in July compared to the previous year. This may be why providers are making their deals more attractive, to try and entice borrowers back into the market, as a result of which competition in the BTL market remains high. The focus on five-year fixed mortgage products would allow landlords to secure their repayments and hopefully ride out any overall rate rises likely to happen in the next few years. Additionally, Charlotte pointed out that “savvy borrowers are aware that the strict stress test applied to two-year deals is not applied to five-year fixed rates,” giving even more reason for competition to focus on the five-year BTL market. Buy-to-let investors may have to look to alternative regions if they want to secure a decent yield from their property. Research by Direct Line for Business showed rental yields varied significantly depending on where investors bought. Direct Line found that while house prices had risen 17 per cent over the past three years, rents were up just 4.7 per cent. While the average yield achieved across the UK is 3.6 per cent, some buyers could earn as much as 7.1 per cent. Burnley had the highest annualised rental yield in the country, according to the analysis. Average house prices in the town were £76,300 while the typical annual rent landlords could achieve was £5,388. Making up the rest of the top three are the City of Glasgow and Belfast where yields were 6.9 per cent and 6.4 per cent respectively. By comparison, homes in London, the south east and east of England had the poorest yields, largely because property prices were higher. In London landlords achieve average annual rents of more than £20,000 but, with the average house price more than £480,000, the yield was 4.4 per cent. In the east of England, where the typical property cost £289,000, the average rent was the lowest in the country at just 3.5 per cent. Daniel Bailey, principal at Middleton Finance, said: “Most of my buy-to-let investors don’t tend to pay more than £125,000. If they go beyond that then the yield tends to not be as good. “Purchase price is a major factor and some areas will attract a better monthly rent. I have some clients achieving yields of 7 to 10 per cent . Direct Line said increased competition in the private rented sector was hitting yields. In one way or another, we all participate in the property market – whether that’s as renters or owners of our homes. But for two million people, the UK property market has also been an investment vehicle of tremendous wealth generation across recent years, with buy-to-let attracting £1.4 trillion in capital. Buy-to-let has been a national obsession. In the past, it was an investment that seemed to require little in the way of privileged financial markets insight. It was simple to understand and manage, and boasted a steady (and in many cases heady) performance record – comfortably outstripping inflation and enriching those fortunate enough to participate. That’s not to say there were never any downsides. The hassles of managing tenants and maintaining properties have been routinely underestimated, typically to the detriment of tenants. And though rental incomes ought to provide steady cashflows to defray ownership costs, the reality of buy-to-let has always been closer to running a business than sitting on a hands-off yielding investment. Under scrutiny, the returns for many property investments have barely compensated for the hassle – let alone for the risks and costs of tying up so much capital in inflexible, undiversified assets. Pressures on buy-to-let have intensified in recent years, particularly from HMRC. A slew of changes to tax and lending rules and the prospect of tenant-focused legislation – which appears to have cross-party political support – have made direct investment more financially unattractive. As tax returns are filled in and re-mortgage applications processed, landlords would be remiss not to consider whether the maths on their buy-to-let properties really adds up any more. So where does this leave would-be investors? Buy-to-let as an investment structure may be dying, but property as an asset class remains undeniably attractive. In fact, recent data from the Office for National Statistics revealed that almost half the population think that property is the best way to save for retirement. Sitting somewhere between cash savings and financial markets investments, bricks and mortar has proved its value and resilience. Taking rental yields into consideration, UK-wide property market returns have only been negative in 23 quarters since 1980, and are down more than three per cent in only five quarters. Compare that to the FTSE, which fell nine per cent between January and March of this year. There’s simply a difference in volatility of performance and defensiveness of the asset class that makes residential property investment attractive. Behind the sensationalist property market headlines of late, the fact remains that there’s a shortfall of somewhere between 50,000 and 100,000 houses built per year, adding to a standing deficit of more than one million, according to Yorkshire Building Society. People will always need somewhere to live. So how can you invest in property more flexibly and tax-efficiently, and minimise transaction and ownership costs? Few other assets are traded as inefficiently as property is today, but technology has been slow to transform the market’s structure despite the clear market opportunity. Options are beginning to appear, such as peer-to-peer or equity crowdfunding platforms that specialise in – and help finance – property. There are now opportunities to lend to property developers and buy-to-let landlords, albeit some would question how close such a debt product is to property investment at all. For true investment in bricks and mortar, there are a host of property crowdfunding sites offering fractional ownership of individual properties, as well as platforms offering tax-efficient investments in portfolios of residential property around the UK. Whatever tomorrow’s property investors choose, they should be careful not to throw out the “common-sense” principles that abandoned the buy-to-let market a long time ago. These principles include diversification, using Isa and Sipp allowances where possible, and a recognition that buy-to-let investors would rather not be called about a broken boiler at 3am. 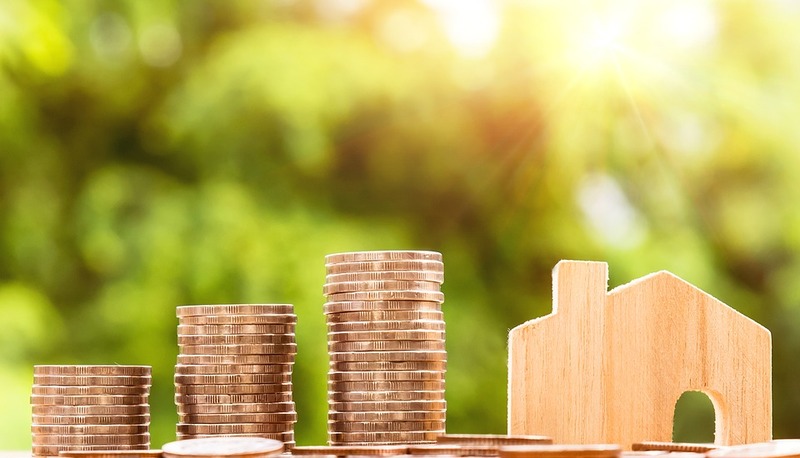 The number of UK buy-to-let investors in the market reached 2.5 million in the latest tax year, an increase of 5% year-on-year, research by London estate agent ludlowthompson has found. The number of investors in the market increased by 27% in the past five years, up from 1.97 million in 2011. Stephen Ludlow, chairman at ludlowthompson, said: “Rising numbers of landlords shows the enduring appeal of buy-to-let, particularly in London. “The long-term picture for the buy-to-let market remains strong. As a ‘London-leaning’ Brexit looks more likely, a final deal will focus on strengthening the appeal of the capital as a go-to destination for overseas professionals, graduates and students alike. The cost of most mainstream buy-to-let mortgages is starting to climb, according to new data from Mortgage Brain. Over the past three months, since Base Rate rose to 0.5% from 0.25%, the cost of a two-year buy-to-let tracker with a 60% and 70% LTV, is now 3% higher. With a current rate of 1.79% and 2.14% respectively (as of 1 February 2018), the 3% rise equates to an annualised increase of £216 on a £150,000 mortgage. The cost of an 80% LTV two-year fix at 3.44% is now 2% higher than it was three months ago, while its 60% and 70% LTV counterparts, and a 70% LTV three-year fix, are all 1% higher than they were at the beginning of November 2017. Longer-term deals are faring better with Mortgage Brain’s latest data showing a 2% reduction in cost over the past three months for a 70% LTV five-year fix. For the same product with a 60% and 80% LTV, the cost reduction is 1%. Despite the recent fluctuations in rates and costs, the buy-to-let sector has also seen the strongest performance in terms of product numbers and availability over the past year. An additional 721 products were introduced into the buy-to-let market during 2017, representing a 32% increase in overall product availability – up from 2,238 in January 2017 to 2,959 as of 15 January 2018. Mark Lofthouse, CEO of Mortgage Brain, commented: “It looks like the Prudential Regulation Authority changes, coupled with what could be seen as the start of a number of interest rate rises, is starting to affect the cost of mainstream BTL mortgages.